LOLA is a real-time legislative information service that provides comprehensive policy data and customizable tools for governmental and policy professionals who track Arizona legislation. Create tracking lists of legislation. Review daily action of tracked bills. Receive email alerts as legislation moves. Generate customizable reports of tracked legislation and share with colleagues, board members or stakeholders or simply create an archive of legislative activity. Comb through thousands of bills using our advanced search tools that allow you to find bills by keywords, statute titles, sponsors, document	type and legislative session. Also, review bill proposal summaries, enacted legislation, vetoed bills, and legislators&apos; attendance records. Examine legislators&apos; voting histories, strategize using our proprietary vote analysis tool and research what groups or organizations	are for, against or neutral on legislation. Increase interaction with lawmakers and clients using our shared report tool, custom email lists and WebReport feature. 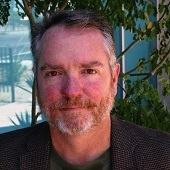 Access bios, policy priorities and campaign contributions of legislators, statewide elected officials and Arizona&apos;s congressional delegation. Each LOLA account is designed to fit various needs from single-issue bill tracking to comprehensive tracking, custom reports, analysis and research tools. 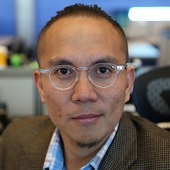 Subscriptions start at $1100 per year. All LOLA accounts include an advanced search tool, plus complete legislative data, including bill summaries, bill text, amendments, vote tallies, legislative fact sheets and fiscal notes. In addition, all accounts come with access to committee agendas, floor calendars, and daily floor and committee action. For a detailed list of account features and tools, click here. - Elaine Arena, owner, Arena Government Relations, Inc. 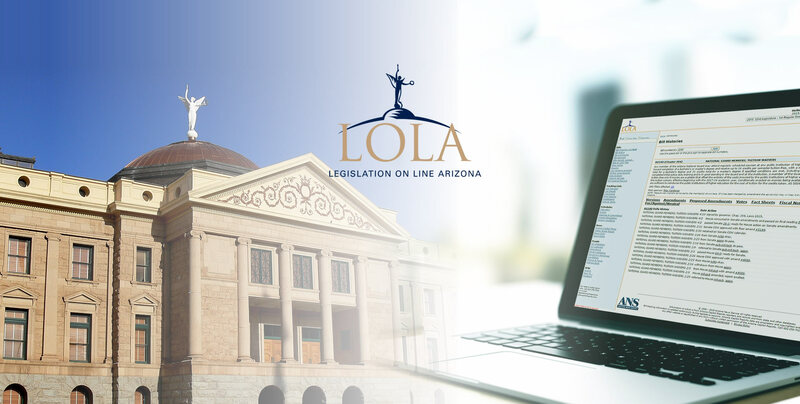 Legislation On Line Arizona, also known as LOLA, launched in 1986 as one of the first online legislative bill tracking services in the country. 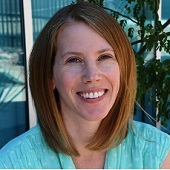 Since its inception, LOLA has been at the helm of legislative bill tracking in Arizona, offering public policy professionals valuable tools and features for tracking legislation, creating reports and connecting with clients and legislators.